The following post by Joshua Holland is being republished here with his permission. It was originally published on May 18th on AlterNet, where he is a senior writer and editor; and it was entitled "Glenn Beck's Absurd Jerusalem Rally: Why Religious Conservatives Are Obsessed With Israel." Glenn Beck's newfound adoration for Israel may seem comical, but it represents a convergence of right-wing ideologies that is in fact quite dangerous. Conservative huckster Glenn Beck is packing up his white board and floppy clown shoes and heading to Jerusalem, where he hopes to inspire the world to join him in scuttling any hope of a two-state solution to the 60-year-old Israel-Palestine conflict. Of late, Beck has been making some mention of Israel on his show every day. He just returned from a “fact-finding” trip to the Holy Land, he's reportedly making a movie about the Jewish state, and this week he announced that he'll be holding a “restoring courage” rally in Jerusalem this summer, where he hopes his legion of devoted fans will take few days out of their retirements to join him. Beck “thinks disaster is imminent for Israel, because of a 'two state solution that cuts off Jerusalem' from the world.” "God is involved in man's affairs, but so is the force of darkness," he continued. "I believe I've been asked to stand in Jerusalem. Many in the history of man have had the opportunity to stand with the Jewish people...and they have failed." But Beck will succeed, because what the Middle East really needs is more slavish tribalism. It's the stuff of comedy – Loathsome American Protagonist Saves the Holy Land! – but Beck's newfound adoration for Israel represents a convergence of right-wing ideologies that is in fact quite dangerous. Beck's trying to turn an audience of very low-information viewers into hawkish “pro-Israel” hardliners who will "stand with Israel" even against long-standing US foreign policy -- they'll support more settlements and oppose the "roadmap" if their beloved leader tells them to. And the region already has ample rejectionists on both sides. And in Mormon end-times scenarios, we don't call them "witnesses": they are described as apostles, or even prophets. Invading armies of Gentiles bent on the destruction of Israel will kill the two apostles, and their murdered bodies will lie dead in the streets of Jerusalem for three days without a decent burial. And then the Mount of Olives will split open. And then Jesus will return. That’s how Beck's guru, the LDS ultra-conservative Cleon Skousen described it in 1972. But appeals to the rapture-ready don't tell the whole story. According to years of opinion polls, Americans don't follow foreign affairs closely (three years after our invasion of Iraq, two-thirds of young people couldn't find the country on a map), yet Gallup tells us the partisan gap between Americans whose sympathies rest with the Israelis or the Palestinians is at an all-time high. Taken together, it appears that one's “support for Israel” is becoming a proxy in our own nasty political divide. If Democrats, the international community and old-school Republican moderates favor a negotiated settlement to the dispute, it must be anti-American. 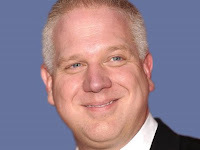 Such is the Right's own brand of tribalism – and Beck has become a trusted touchstone for his millions of followers. But it's important to understand that claiming to support Israel and actually doing so are two entirely separate things. Led by one of the most right-wing governments in its young history, Israel is isolating itself on the world stage with its intransigence over settlements and hard-line resistance to the international “peace process” (whatever that may be worth at this point). Supporting that stance is like giving your alcoholic friend a bottle of hooch – he or she may feel supported, but it's not in their best interest over the long term. As MJ Rosenberg notes, “There is hardly a mainstream political figure in Israel, dead or living (including current Defense Minister Ehud Barak and former Prime Ministers Yitzhak Rabin, Shimon Peres, Ariel Sharon and Ehud Olmert), who hasn't evinced the belief that Israel cannot survive if it maintains the occupation of the lands taken in 1967." For Beck, what's really important is his $40 million annual take and fledgling media empire. Forbes just ranked the former rodeo clown as its 30th most powerful celebrity.